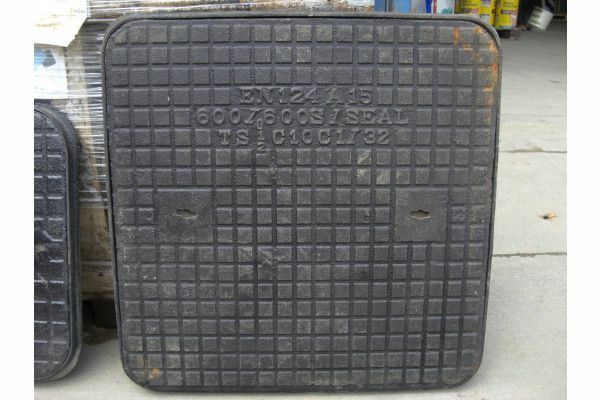 The Ductile Iron Solid Top Manhole Cover is suitable for pedestrian use only and has a GLV weight of 1.5 tonnes this is spread across the whole manhole. The single seal A15 iron manhole cover is extremely useful when concealing manholes and when maintaining the visual aesthetics of the footpath. 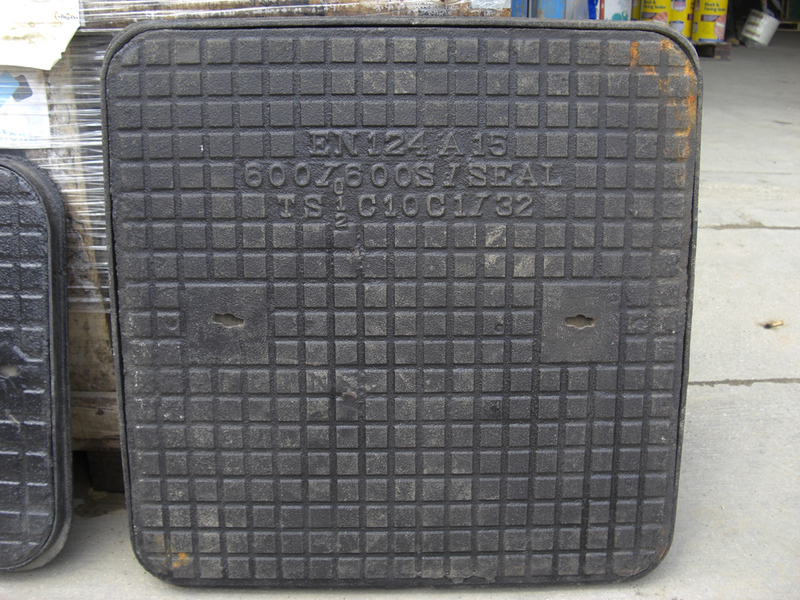 This particular manhole cover is certified with the prestigious British Standard Kitemark as a further assurance of their quality and weighs roughly 20 kgs. 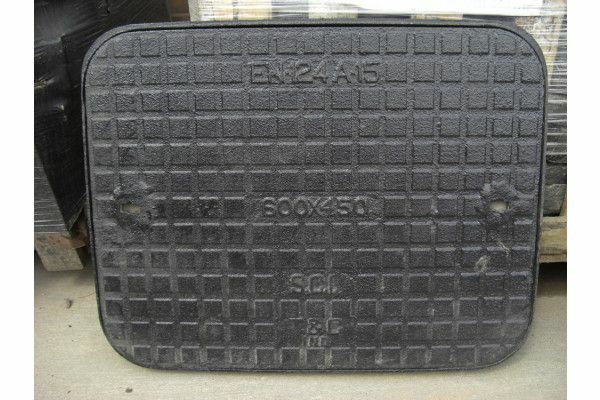 This manhole cover and frame has been used in the past for driveways but is no longer suitable for this application due to how our cars have got heavier and heavier. 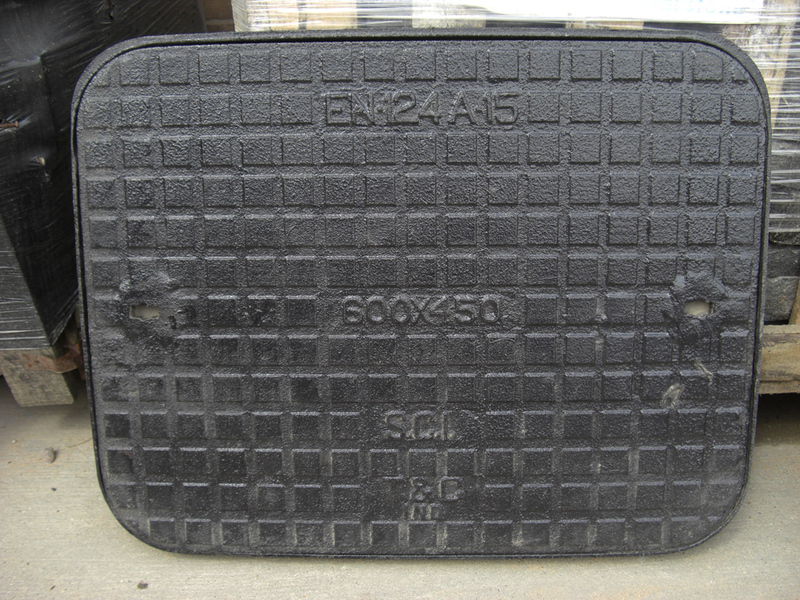 If there is any chance a car will drive over this you will need the upgraded B125 class manhole cover. This has a slightly different look to it and can be found here. The external dimensions to the edge of the lips are: 680 x 680mm and 680 x 530mm approximately.